Jacob A Akoh is a Consultant General and Transplant Surgeon at Plymouth Hospitals NHS Trust. He is also Senior Academic Tutor and Associate Professor of Surgery (Honorary Clinical Senior Lecturer) with Plymouth University Peninsula School of Medicine and Dentistry. His current practice involves elective and emergency commitments in general surgery and renal transplantation. He is also listed in the Dictionary of International Biography and cited in the 2009 and 2010 editions of Marquis Who's Who in the World®. Subspecialty skills include general surgery, renal transplantation, vascular access surgery, parathyroid and thyroid surgery. He is a member of many medical societies, has published articles in peer reviewed journals and is co-editor of a book on dialysis access titled, "DIALYSIS ACCESS: Current Practice". He is an expert referee for the NIHR Health Technology Assessment Programme. He is a member of the Training and Education Committee of the British Transplantation Society (BTS). He was until recently and until, a member of Council of the BTS (March 2011 - February 2014), Director of the South West Transplant Centre (March 2003 - March 2011) and Clinical Director for Surgery and Renal Services (September 2005 - March 2010). He is a past President of the Medical Association of Nigerians Across Great Britain (MANSAG). 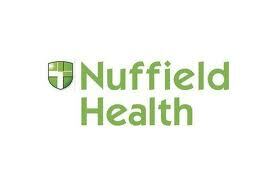 For enquiries and private referrals please see the contact page. Adoption of transposed basilica vein as access for haemodialysis. Management of Chylous Ascites Following Hand Assisted Laparoscopic Donor Nephrectomy: Case Report. Management of incisional hernia at a tertiary centre. Severe Haemorrhage Complicating Early Transplant Nephrectomy due to Sepsis: A Case Report. Hernia Recurrence due to Encasement of Biological Mesh. Kinton L, Arun A, Harmse D, Akohj JA. IGG4 Related Cutaneous Inflammatory Pseudotumour: A Case Report and Review of the Literature. Recurrent spontaneous pneumoperitoneum: A surgical dilemma. Int J Surg Case Rep. 2016; 30: 103-105. Higgs DJ, Ariyarathenam A, Akoh JA. Mycotic Aneurysm of a Native Brachiocephalic Fistula. Current management of autosomal dominant polycystic kidney disease. Review of transposed basilic vein access for hemodialysis. Baker S, Popescu M, Akoh JA. Small bowel stricture as a late sequela of superior mesenteric vein thrombosis. Int J Surg Case Rep 2015; 6C:118-121. Transplant nephrectomy experience from a single centre. Akoh JA, Rana TA, Higgs D.
Bilateral Psoas Haematomata Complicating Renal Transplantation. Thompson M, Mathuram Thiagarajan U, Akoh JA. Lower limb gigantism, lymphoedema and varicosities following a thigh vascular access graft. Hemodial Int. 2014; 18: 705-8. Management of superficial abscesses: scope for day case surgery. Akoh JA, Mathuram Thiyagarajan U. Elderly living donor renal transplantation. Impact of Donor Age on Outcome of Kidney Transplantation from Controlled Donation after Cardiac Death. Saudi J Kidney Dis Transpl 2013; 24(4): 673-681. Rana TA, Taylor J, Jahromi AH, Akoh JA. Impact of donor myelofibrosis on outcome of renal transplantation. Saudi J Kidney Dis Transpl 2013; 24(3): 542-545. Ariyarathenam A, Galvin N, Akoh JA. Secondary extramedullary plasmacytoma causing small bowel intussusception in a patient with multiple myeloma - a case report. The effect of ureteric stents on urological infection and graft function following renal transplantation. Acute Postoperative Pain Following Day-Case Hernia Repair. J One Day Surg 2012; 22: 4-8. Verwey J, Nixon M, Akoh JA. An unusual case of severe haemorrhage and small bowel injury following percutaneous suprapubic catheter insertion. World J Nephrol Urol 2012; 1: 42-45. Audit of readmission following non-elective surgical management. Nixon M, Verwey J, Akoh JA. Caecal tumour masquerading as an appendicular mass. Key issues in transplant tourism. Kidney donation after cardiac death. World J Nephrol 2012, 1: 79-91. Peritoneal dialysis associated infections: An update on diagnosis and management. World J Nephrol 2012, 1: 106-122. The effect of new clinical pathways on outcome of vascular access surgery. J Vasc Access 2012; 13:338-344. Akoh JA, Watson WA, Bourne TP. Day case laparoscopic cholecystectomy: reducing the admission rate. Int J Surg 2011; 9:63-67. Rana TA, Cramp HA, Akoh JA. Evaluation of Medical Insertion of Peritoneal Dialysis Catheters. Int J Nephrol Urol 2011; 3: 46-53. Managing patients with problematic vascular access sites. Invited review. European Nephrology 2011; 5(1): 49-55. Hanna T, Jones JO, Akoh JA. Maxillary brown tumour: unusual presentation of parathyroid carcinoma. Renal transplantation in developing countries: a review. Saudi J Kidney Dis Transplant 2011; 22(4): 637-650. World J Transplant 2011; 1: 4-12. Hanna T, Powys-Lybbe J, Akoh JA. Urinary tract infection mimicking acute mesenteric ischaemia in an immunocompromised patient: case report. Clinics and Practice 2011; 1: e19. Vascular access infections: epidemiology, diagnosis and management. Invited review. Current Infect Dis Reports 201; 13: 324-332. Acute presentation of intestinal malrotation in adults: a report of two cases. Ann Royal Coll Surg 2010; 92: 15-18. Watson CJE, Wells A, Roberts R, Akoh JA, Friend PJ, Akyol M, Calder F, Allen J, Jones M, Collett D, Bradley JA. Cold machine perfusion versus static cold storage of kidneys donated after cardiac death: a UK multicentre randomised controlled trial. Am J Transplant 2010; 10: 1991-1999. Donor perspectives in living kidney transplantation. Dial & Transplant 2010; 39: 208-213. Rana TA, Taylor J, Akoh JA. Saudi J Kidney Dis Transplant 2010 (in press). Infection of Haemodialysis Arteriovenous Grafts. J Vasc Access 2010; 11: 155-158. Akoh JA, Rana TA, Stacey SL. Isotope Differential Renal Function in Assessing Potential Living Donors. Dial & Transplant 2010; 39: 23-26. Akoh JA, Radford F, Legrys H.
Review of non-elective admission of patients aged 75 years and over to the surgical admissions unit of an acute hospital. Bulletin R Coll Surg Engl 2010; 92; 1-5. Rana TA, Langford AE, Akoh JA. Transplantation of a pelvic kidney with multiple (damaged) vessels and a short ureter from a controlled non heart beating donor. Int J Nephrol Urol 2010; 2: 481-485. Akoh JA, Denton MD, Bradshaw SB, Rana TA, Walker MB. Early results of a controlled non-heart beating kidney donor programme. Nephrol Dial Transplant 2009; 24: 1992-6. [Epub 2009, Feb 23]. Management of patients with challenging vascular access needs. International Surgery 2009; 94: 95-98. Ives C, Akoh JA, George J, Vaughan-Huxley E, Lawson H.
Preoperative vessel Mapping and early postoperative surveillance Duplex Scanning of Arteriovenous Fistulae. J Vascular Access 2009; 10: 37-42. Prosthetic arteriovenous grafts for haemodialysis. J Vasc Access 2009; 10: 137-147. [Epub 2009, May 5 ahead of print]. Rejection of Permacol mesh used in abdominal wall repair: a case report. World J Gastroenterol 2009; 15: 4331-3. The effectiveness and cost-effectiveness of methods of storing donated kidneys from deceased donors: a systematic review and economic model. Health Technol Assess 2009; 13: iii-iv, xi-xiv, 1-156. Akoh JA, Opaluwa AS, Weller D.
Urological Complications of Renal Transplantation: Reducing the Risk. 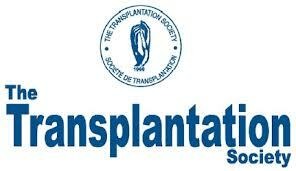 A Transplant Website in Today's World. The Open Transplantation Journal 2008; 2: 54-57. Assessment of potential living kidney donors: options for increasing donation. Dialysis & Transplant 2008; 37: 352-359. Perforated appendicitis masquerading as acute pancreatitis in a morbidly obese patient. World J Gastroenterol 2008; 14: 1795-1796. Unusual Complications Following Living Donor Nephrectomy. Strangulated diaphragmatic hernia presenting clinically as pericarditis. World J Gastroenterol 2007; 13: 1449-1450. Controlled non heart beating donation ­ reinventing the wheel (editorial). KIDNEY Life Summer Issue 2006; p 6. Kingsnorth AN, Oppong CO, Akoh J, Stephenson B, Simmermacher R.
Akoh JA, Sinha S, Dutta S, Opaluwa AS, Lawson H, Shaw JF, Walker AJ, Rowe PA, McGonigle RJ. A 5-year audit of haemodialysis access. Int J Clin Pract 2005; 59: 847-851. Suresh V, Sean Carey B, Shaw S, Tse WY, Cartwright N, Akoh J, McGonigle R, Rowe P, Shaw J, Kaminski E.
A retrospective study of the prognostic impact of cytokine secretion in mixed lymphocyte culture on long-term graft function following allogeneic renal transplantation. Autogenous arteriovenous fistulas for haemodialysis: a review. Nigerian Postgraduate Medical Journal 2003; 10: 125-130. Ponticelli C, Yussim A, Cambi V, Legendre C, Rizzo G, Salvadori M, Kahn D, Kashi SH, Salmela K, Fricke L, Garcia-Martinex J, Lechler R, Heemann U, Monteon F, Ortuno J, Amenabar JJ, Arias M, Nicholson ML, Sperschneider H, Adendroth D, Gracida C, Lao M, Sever MS, Lameire N, Sanchez-Fructuoso A, Basci A, Segoloni G, Connolly J, Altieri P, Akoh J, Prestele H, Girault D.
Basiliximab significantly reduces acute rejection in renal transplant patients given triple therapy with Azathioprine. Central venous catheters for haemodialysis: A review. Nigerian Postgraduate Medical Journal 2001; 8: 99-103. Akoh JA, Chwee Choon T, Akyol MA, Kyle K, Briggs JD. Outcome of renal transplantation in patients with lower urinary tract abnormality. J Royal Coll Surg Edinb 1999; 44: 78-81. Johnstone RD, Stewart GA, Akoh JA, Fleet M, Akyol M, Moss JG. Percutaneous fibrin sleeve stripping of failing haemodialysis catheters. Nephrol Dial Transplant 1999; 14: 688-691. Preserving function and long-term patency of dialysis access. Ann R Coll Surg Engl 1999; 81: 339-342. Use of permanent dual lumen catheters for long-term haemodialysis. International Surgery 1999; 84: 171-175. Hakim NS, Romagnoli J, Contis JC, Akoh J, Papalois VE. Refashioning of an aneurysmatic arterio-venous fistula by using the multifire GIA 60 surgical stapler. Int Surg 1997; 82: 376-377. Akoh JA, Mathew MA, Chalmers JWT, Finlayson A, Auld CD. Audit of major gastrointestinal surgery in patients aged 80 years or over. J Royal Coll Surg Edinb 1994; 39: 208-213. Akoh JA, George MM, Walls ADF, Auld CD. Congenital absence of the gallbladder: ways of avoiding laparotomy. Br J Clin Pract 1994; 48: 77-78. Prognostic factors in typhoid perforation. East African Med J 1993; 70: 18-21. Improving survival in gastric cancer: review of 5-year survival rates in English language publications from 1970. Br J Surg 1992; 79: 293-299. Splenic abscess: is conservation applicable? Br J Clin Pract 1992; 46: 274-275. Sedgwick DM, Akoh JA, Macintyre IMC. Gastric cancer in Scotland: changing epidemiology, unchanging workload. Br Med J 1991: 302: 1305-1307. Akoh JA, Sedgwick DM, Macintyre IMC. Improving results in the treatment of gastric cancer: an 11-year audit. Br J Surg 1991; 78: 349-351. Improving survival in gastric cancer: review of operative mortality in English language publications from 1970. Br J Surg 1991; 78: 771-776. Relative sensitivity of blood and bone marrow cultures in typhoid fever. Tropical Doctor 1991; 21: 174-176. Akoh JA, Bawa SM, Mabogunje OA. Traumatic haemobilia in Zaria, Nigeria. Tropical Doctor 1990; 20: 191-192. Akoh JA and Hakim NS. Imperial College Press: London 2001. Central venous catheters.,Akoh JA and Hakim NS ed. DIALYSIS ACCESS: Current Practice. Imperial College Press: London 2001. Dialysis access: past, present and future.,Akoh JA and Hakim NS ed.